I’m A with Forestry Division. I don’t like summer as it’s too hot. I can’t bear the hotness. Then, do I like winter? …Well, I’m afraid not. It’s too cold. I can’t bear the coldness. Then do I Iike spring or autumn? The moderate temperature is pleasant for a walk. 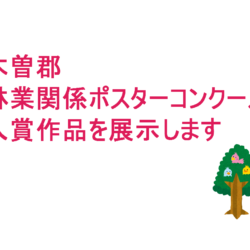 Anyway I report Ayasanmpo about Kaidakogen Heights. 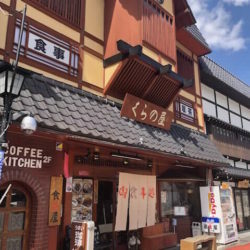 Kaidakogen Heights is famous for delicious of soba. 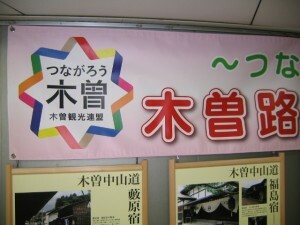 There is a soba factory in Kaidakogen Heights. 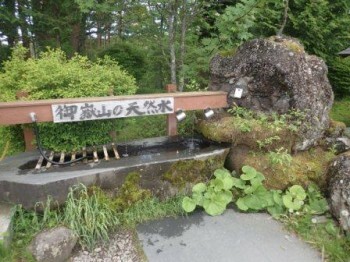 We can have natural water of Mt.Ontake. The water is very clear, cold and delicious. Some local people come here to get the water. 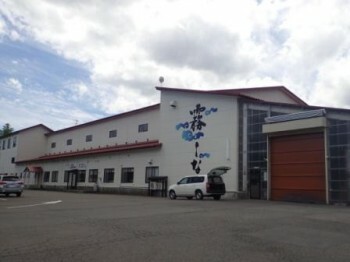 You can visit Kirishina factory. I couldn’t take pictures, as it wasn’t allowed. I learned how to make soba in the factory. 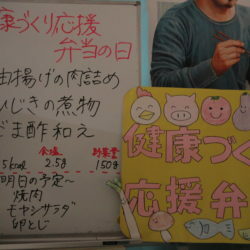 There were various goods at the shop. I found this. Kuksa! 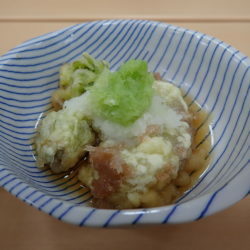 It was made with a Kisohinoki( a Japanese cypress). Mr. cyclist introduced Kuksa on this blog. Kuksa is a traditional craft Finland. 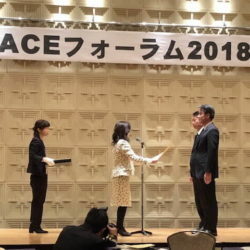 It is said those who received it will become happy. 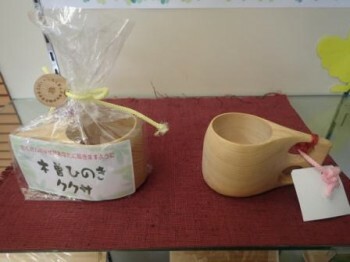 You can use Kuksa cup for your lifetime. Well, I want to present it to someone someday. There are many chairs and desks in the corner. Yes! 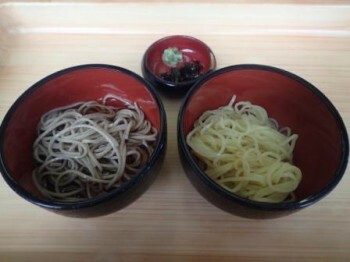 You can taste the soba of Kirishina! So, I tasted the following soba. Right one is chilled Chinese noodles of Kirishina. I think the menu changes day by day. It is these two noodles on that day. and I enjoyed texture of noodles. Both of them were very delicious! Chilled Chinese noodles are sold only during summer. 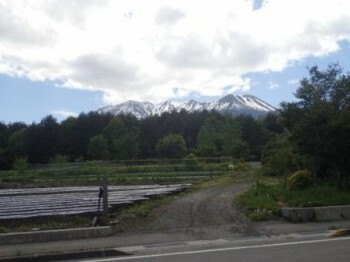 You can see Mt.Ontake clearly from the shop. why don’t you visit Kirishina? 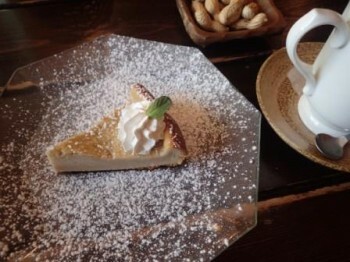 I visited the cafe in Kaidakogen Heights! 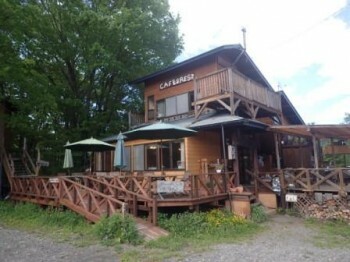 The cafe is near the factory of Kirishina. 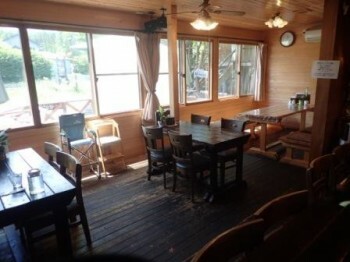 The cafe has warm atmosphere based on woods. 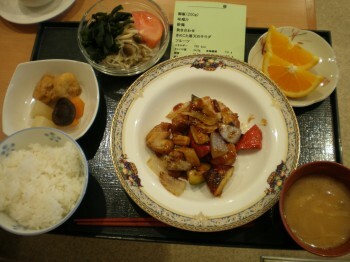 In the cafe, the grilled curry is popular. I ordered the handmade cake made with soba flour. There were many Western menus which looked delicious. When I come here next time, I will order one of them. After a short time, the master brought the cake. The cake was tasty with soba flavor and not too sweet. I had it with great relish. What impressed me was the shape like a tart. 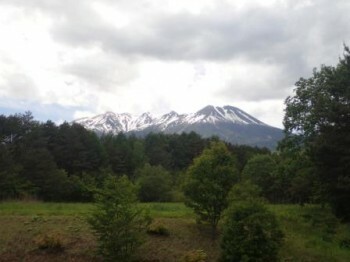 Incidentally, we can see Mt.Ontake from this cafe. He had been here from Kansai area. The cheerful master and the kind mistress. 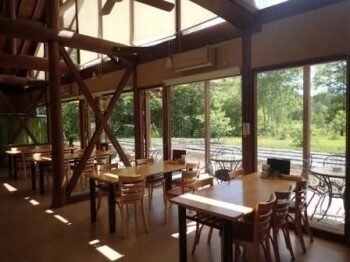 The cafe is very attractive. You can drink liquor at night ! enjoying the nature of Kaidakogen Heights. I found out a shop on the way. 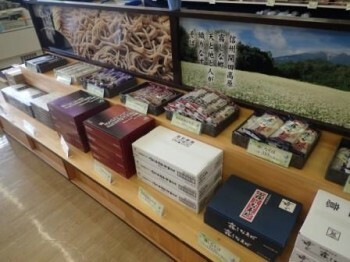 They sell local specialities and souvenirs. The most interesting for me was this. Nezuko is a kind of woods. 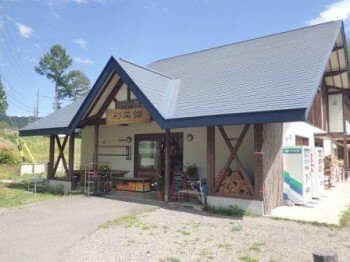 There are five famous woods in Kiso. Hinoki, Sawara, Asunaro, Koyamaki and Nezuko. Nezuko resists water, and is light. It is used for folkcraft and so on. 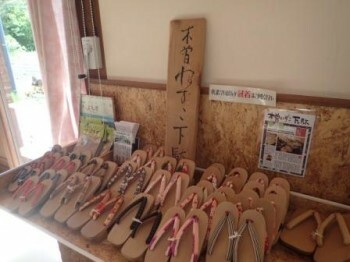 Among those, Nezuko geta is one of the most popular specialities in Kiso. though I don’t wear them very often. and Hobamaki in the store. There was a restaurant inside. You can eat the steak or the hamburger of Kiso-Beef. 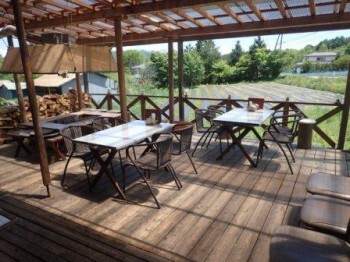 How about drop in this beautiful restaurant? Now, today’s Ayasampo is end. I went to various places today. I wonder where I go to next. Please tell me the place you recommend. 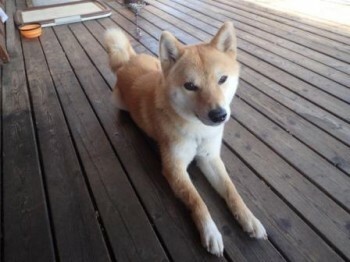 There was a dog on the wood deck. He is one year old. as he relaxed in a refreshing breeze.